In close collaboration with the Honduran Ministry of the Interior, Justice and Decentralization, IDLO and the National Program for Prevention, Reintegration and Social Rehabilitation (PNPRRS in Spanish) organized a first National Meeting on Restorative Justice from March 20-21. Stakeholders discussed the features of the restorative systems as well as the benefits of implementing such a mechanism in Honduras - particularly for minors in conflict with the law and others deprived of liberty. Over 100 representatives of governmental bodies, civil society organizations and the international community were in attendance. Special guests from the Costa Rican Supreme Court’s National Directorate of Restorative Justice shared their experiences on how to best navigate complex challenges in introducing restorative justice practices into the national framework. 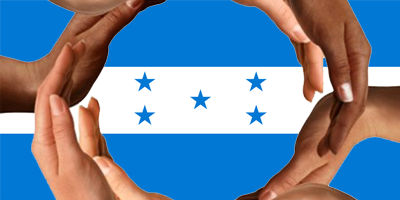 Under IDLO’s project which aims to reduce homicide through increased access to justice in Honduras, the national meeting followed several initiatives in the country to improve rehabilitation and reintegration of prisoners, including a move by the Honduran government to increase the funding for prisoner services early in 2018, and another regional exchange with El Salvador. The national meeting aimed to raise awareness among government counterparts in the justice and security sector by bringing in fresh perspectives on restorative justice. The ultimate goal of increased dialogue is identifying and promoting best practices among the different actors that work in the areas of prevention, rehabilitation and social reintegration. Outcomes of the meeting are expected to inform a public policy on restorative justice by defining a road map, capacity building needs and initiatives to continue steering the conversation towards the establishment of restorative justice practices and mechanisms. Looking forward, IDLO will continue to strengthen the ongoing efforts by Honduran institutions to enhance their justice system and enable better access to justice for Honduran citizens.